Father's Day is a magical time of year. Everywhere, people are filled with the spirit of the day, singing Father's Day carols ("Papa's Got a Brand New Bag"), preparing the traditional Father's Day feast (bacon), and rushing about to buy the perfect gifts for Dad (watches, of course). If you have not yet found the ideal present, then you have come to the right place, because have another round of sales to tell you about. But you need to get moving! Father's Day comes but once year. 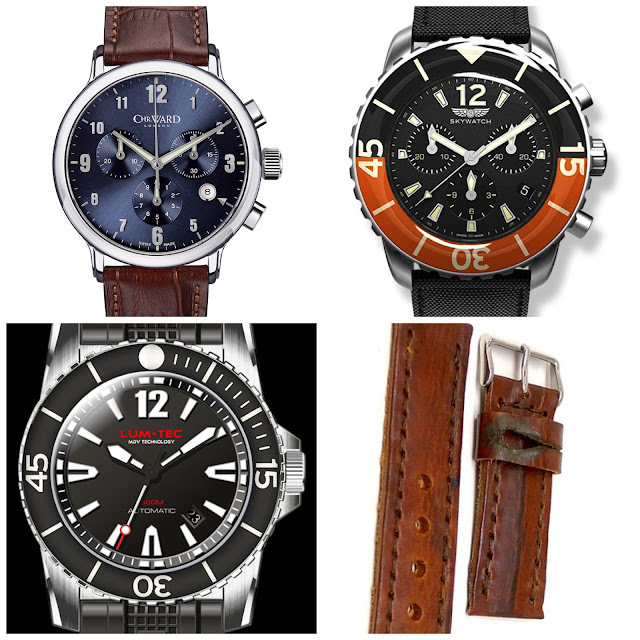 Christopher Ward has huge selection of tasty timepieces and is offering 15% off all items with code MHD15. I've always had a soft spot for the domed acrylic bezel on the Skywatch. Get yours for 25% off with code DAD2015. Want to brighten Dad's day with the intense glow of a Lüm-Tec 300M? Use code 300MJUNE to get 20% off. The code is valid through the end of the month on both the 40mm and 45mm models. With all these watches you are going to need to hook Dad up with some straps. DaLuca can provide one-of-kind, handmade leather or NATO straps for 15% off and a USPS Priority Mail upgrade. Just use code BESTDAD.